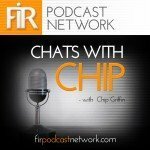 On the latest episode of Chats with Chip, I’m joined by Neville Hobson to talk about the role artificial intelligence and machine learning will have in the public relations industry. Neville is the co-founder of the FIR Podcast Network and currently works for IBM — home of Watson. We talk about everything from the automated creation of news stories by computers to the role that big data plays in communications — with a digression or two along the way, of course.